As we move more toward a digital world, an entire sector of the population will be or feel disenfranchised . . . Like a force of nature, the digital age cannot be denied or stopped. It has four very powerful qualities that will result in its ultimate triumph: decentralizing, globalizing, harmonizing, and empowering ---(Nicholas Negroponte Being Digital). Would you like to watch a fun and funny movie for research? 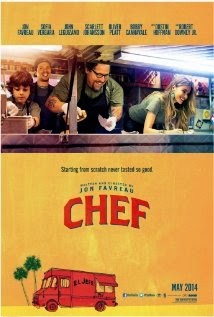 If so, watch “Chef” (2014), rated 5 stars on Netflix. For those of you thinking of incorporating popular social media technologies into your research paper, this movie is spot on! While the story line is not new, the use of social media to move the plot is; not only is social media used to send the messages, the various tweets, texts, and other technologies are both the catalysts for the conflicts, and the ultimate glue that holds the story together. One "Tweet" is all it takes to ruin Chef Carl's career. 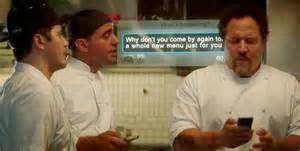 Populated by a cast of veteran actors such as Jon Favreau, John Leguizamo,Dustin Hoffman, Robert Downey, Jr., and Scarlett Johannson, "Chef" is the story of Chef Carl who loses his restaurant job after tweeting an insult to a food critic. Eventually, he starts up a food truck in an effort to reclaim his creative promise, all while piecing together his estranged family. Despite a few expletives in both English and Spanish, the movie is family friendly with one of the main characters a 10 year-old boy who introduces his father to the real culprit - Twitter. So, get some popcorn, call over a few friends and watch the movie tonight. The film is available through Netflix, and Amazon ($2.99). Enjoy. Some students have expressed confusion about what they are expected to do in this course. 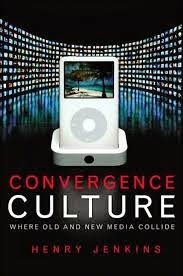 The answer is that we/you are examining how cultures and digital media "converge" and shape our perceptions of different peoples and their cultures. In short, how do new media technologies represent us and "them". For instance, in week one, we looked at digital media as argument by analyzing the ways in which one music and video grabs our attention to make a statement, or argument. We asked questions such as What was the message in the music video "Stand By Me"? How did Mark Johnson combine all of the W.O.V.E.N. elements to convey that message? What are our reactions, and why was the video appropriate for audiences around the world. This is called a rhetorical analysis (analyzing the audience, purpose, and message of an artifact or text). Moving on to week two, we focused on culture and the ways different cultures relate. This is part of a study on cultural relativism, the view that all cultures are right (or at least none are wrong) and the actions of any culture are justified as being appropriate because that is "Their" culture. However, we also looked at why that may not be entirely true or always appropriate. For instance, when a culture engages in activities that are harmful to one segment, is that right? This raises other interesting questions. What is the line between being culturally appropriate and violating a person's human rights. Who has power in a culture. How does power relate to culture. Why is culture not neutral? Who determines culture? Now, this week, you are participating in a workshop on the Akha people who were introduced to digital media as a way of spreading or maintaining their culture across a broad geographical territory that spanned five countries. The idea behind the project was to "converge" digital media with local culture to preserve the Akha culture and language. The big question behind the project (and your reflection) is how did this work out for the Akha people. Was the project successful? Did it truly allow the Akha people to maintain their culture? What was/is the after effect. This next week, we will examine the role of human rights in providing guidelines to answering some of these questions. During the semester, I hope you will acquire a sense of appreciation for the nature of global issues and the cultural impact of new advanced technologies on modes of communication among nations, societies and communities. Internationally there is a growing phenomenon of ‘converging cultures’ as a product of globalization and its dependence on global media technology for communication. While many people view globalized media technology as a “converging technology for converging people,” for many others the lack of access to advanced technology has created virtual borders and a cultural divide. This in turn raises critical questions about how digital media technologies engage global politics, economies and cultures. Who controls the Internet? Does everyone have equal access to technology? How do we know what is "real" and what is "skewed", or just not true. In order to prepare students to be culturally sensitive professionals, coursework focuses on reading and writing about representations of human rights, terrorism, economics, politics and education, and their roles as transformational agents in both governmental institutions and communities. As we move into 2015, most of us find ourselves looking back at the previous year and past experiences. Yet, as in life, "experience" transcends the written word. 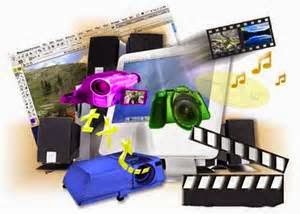 We live and communicate through multiple modes such as the written text, oral recitations, visual arts, electronic media, and even non-verbal gestures or movements. While we can write about these things, in the digital age a more effective way of looking back is to utilize the same modes used to publicize important events -events that happened and were reported using a variety of media for delivery. "Together we can bring peace!"